Welcome to Avonlea, a sought after desirable community of Eastvale. 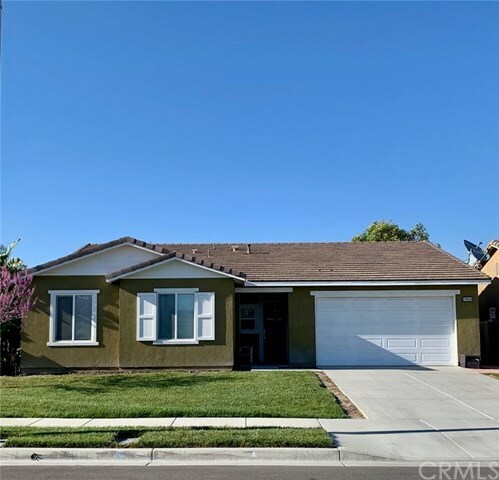 Donât miss this opportunity to own this gorgeous corner lot, move in ready single story home with 3 bedrooms plus den with 2 full bath. As you enter, you will notice the upgraded flooring, crown molding, neutral paint scheme and modern fixtures of this home. The open floor plan features a large and open kitchen with an island with built in large sink, plenty of cabinets, granite counters complete with custom backsplash. The elegant master suite is light and bright that leads to the beautiful master bathroom featuring a walk-in closet, dual vanities, upgraded tile flooring and walk in glass shower. Indoor laundry room located along the hallway. Tank less water heater and direct access to 3-car tandem garage. The third car bay can be converted into a "studio" or bonus room, home office, man cave, storage and more. The large low maintenance customized private backyard is great for entertainment. Close to the exclusive Avonlea Park with walk paths, children's playground, picnic ground and basketball court. Must see to appreciate!